Observation - Buff-tailed bumblebee - UK and Ireland. 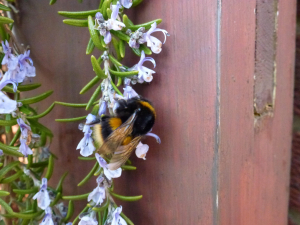 Description: A queen bumblebee on a trailing rosemary. A queen bumblebee on a trailing rosemary.